I do love a good kitchen gadget, and something new and shiny always gets my backside back in the kitchen and gets me experimenting. 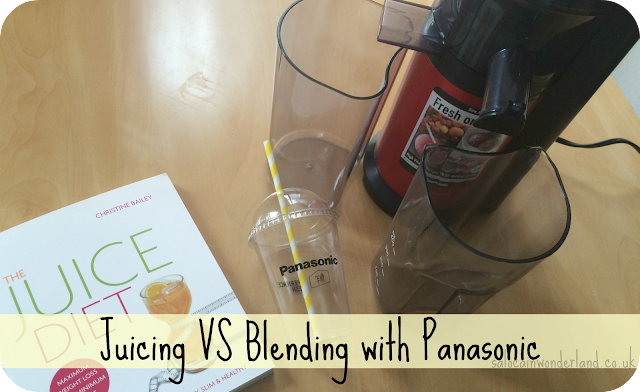 When I was asked to try out the Panasonic Slow Juicer MJ-L500, I was already buzzing with ideas of concoctions I could juice up and try out, from the nice to the naughty and back again, and if it gave me a health kick at the same time - who was I to say no? I’ve always been a blender, from smoothies to shakes, it all got chopped up, blended up, and drunk down, bits stuck up my straw and all,and I genuinely thought blending was the only way to go. 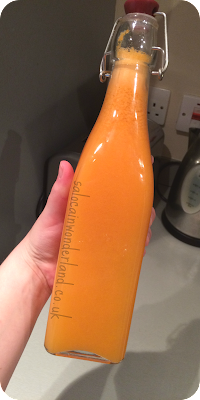 I’ve been downing green juices since they came into fashion and haven’t looked back…until now. Blending is full of fibre, satisfies hunger cravings and fills you up for longer, with a slow release of energy. The slow release also balances your blood sugar levels - meaning you won’t peak, go bonkers, then crash into a lifeless heap on the floor, craving a snickers. 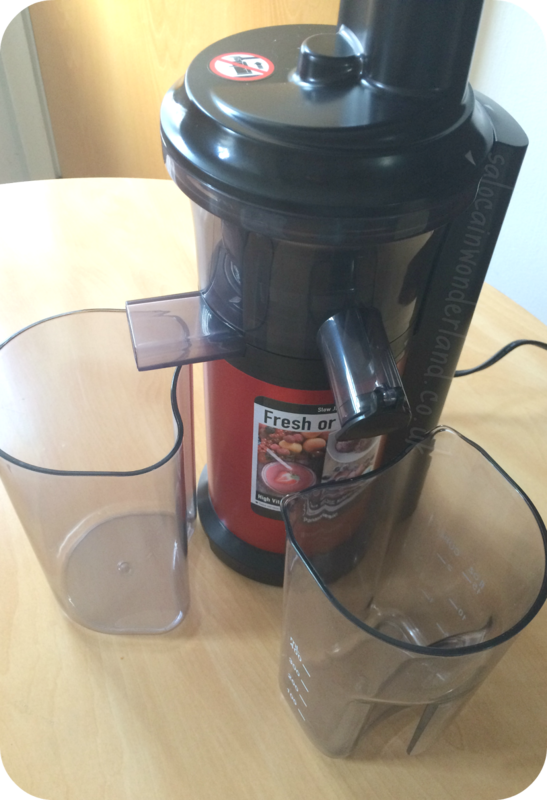 Juicing takes out the fibre, making it easier on sensitive digestive systems. It’s also a quick, sure-fire way to get a huge vitamin and nutrient boost as all that good stuff is absorbed quickly, and will give you an instant energy boosting pick me up. Less fibre means you can get in more fruits and veggies than with blending, but it also means you have to watch your sugars. The Panasonic Slow Juicer is a centrifugal juicer, which means it crushes the fruit and vegetables slowly which releases more juice, preserving vitamins and minerals, than regular masticating, twin gear and hand cranking juicers. This also makes it one of the quietest juicers on the market, and the most stable. I swear, no matter how much fruit I pushed into this baby, it stayed solid and there was no fear of it rocking off the counter top. And if it wasn’t fancy enough? It comes with an interchangeable frozen attachment which means you can make frozen desserts and sorbets! Have you not seen the weather we’re having right now? As someone who can’t eat much ice cream (and I curse the heavens daily for this), sorbets are my saviours and I never thought it would be so easy to make my own! You simply chop, freeze, change to the frozen attachment, then pop the frozen fruits in - job DONE. I’m telling you, I feel like a dessert queen! As for juicing, I’ve been playing around with some really simple, summery juices that have been perfect for breakfast or as a post ridiculously-long-hard-hot-day-at-work pick me up. 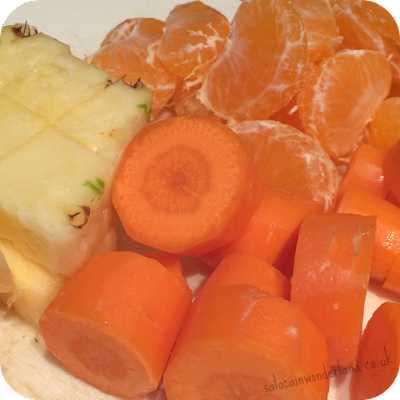 Oranges, carrots, pineapple and apples, all things I buy every week but always have too much leftover that ends up going to waste. Not anymore! I juice up the extras and make 4-5 days worth of juice at a time, meaning the only waste I have now is the pulp (and if I had a garden, I wouldn’t even have that as I think it would be ideal for a compost heap!). The one and only downside I have to comment on is the cleaning. Though the juicer comes apart easy enough, some of the nooks and crannies are so finicky to get fruit and veg pulp out of that it can take me a good while, and a good scrubbing before I’m satisfied it’s all out. It does come with a handy cleaning tool but in the morning pre-work rush, I just don’t have the time. Batch juicing on the weekend seems the best way to go, as I have time to make my juice in bulk and time to make sure it gets a good cleaning. Overall, I’m impressed. I won’t even look at the cartons of pre-made juice in the supermarkets anymore, always opting to make my own, even if it is something simple like an orange juice, there’s just something really satisfying about making my own. I’m looking into some detoxing and cleansing juices that I can’t wait to try (and will report back on, obvs) and did you not see me mentioning sorbets? I’m not saying blending and I are through, we’re on a Ross and Rachael style break, but juicing has seriously won me over right now! Are you team blender or team juicer? *Come Round kindly provided the Panasonic Slow Juicer MJ-L500 in exchange for this review. All thoughts and opinions are 110% my own :) For more information, see my disclaimer here. There are still plenty of nutrients in the juice, you just have to keep an eye on the sugar content! 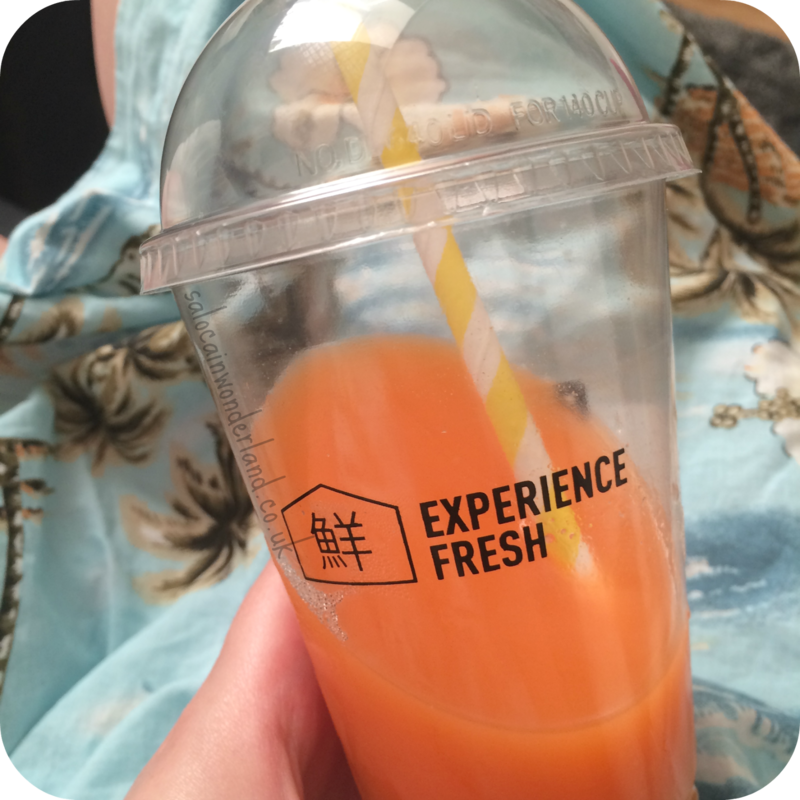 The juices are so refreshing though, especially during this heatwave!